That is the question– in particular for business and industry leaders. 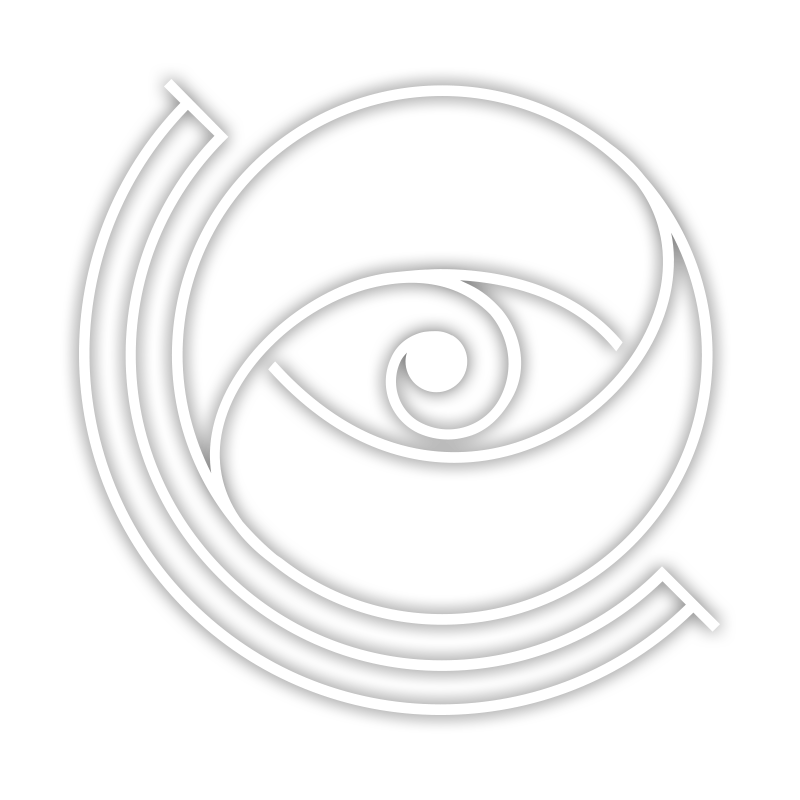 Custos an Investment Company and rapidly emergent Media House is powered by a passion to change the world through their own brand of Disruptive Innovation. The Custos Group invests in start-up and young companies as well as more established entities geared for change. They kick-start and accelerate growth for their ventures by providing access to the Custos Group ecosystem, offering inventive assets and unique venture expertise. The Custos Ventures part of the team works closely with Group Companies to provide fast access to the market with their ”Go to Market Muscle.” Mentorship and growth financing are readily made available. Custos & Metro Media House have launched a truly ground-breaking media-for-revenue and media-for-equity business model (opening the door to advertising time in return for revenue-sharing or equity). The Custos history is rich in successful investment/disruption, having divested several portfolio companies at extraordinary multiples on an investment. Others are now standing by for public offerings. We are looking for the enterprising disruptive innovators of tomorrow and world-beaters in Digital Disruption. Custos is 100% focused on applying digital disruption in all our businesses. Custos is 100% committed to Digital Innovation. We have established Custos Lab for this purpose. The Custos team is 100% equipped with deep insight into business models, AI, Big Data, Technology, Leadership, Knowledge and Network Capital. Story, AND WE ARE TELLING OURS! In 1937 Custos was founded by the renowned Swedish bank, Skandinaviska Kredit as an investment vehicle, the primary purpose of which was the acquisition of shares the bank had received following the collapse of Ivar Kreuger’s financial empire during the Great Depression of the 1930s. From that time forward, the continued injection of shares into Custos permitted the investment firm to gain control of strategic stakes in blue chip companies such as Volvo, Skanska, Swedish Match, SEB, SCA, Hufvudstaden, and Billerud. Although every Company is a story, the Custos narrative is a muse of business sustainability, mixed with a firm commitment to investor and consumer resources in the corporate world. The Custos narrative boasting a power bolt history based not only on its origins, but on its most empowering journey of growth and expansion tells a story of evolving trends, thriving financial environment and connected commerce. It is this journey that which made Custos a successful enterprise careening at full speed into the second decade of the 21st Century. Empowering yes—but how does the narrative come alive? Thanks to a resourceful concept, a pioneering team, and belief in the Custos brand the venture proved to be an exceedingly lucrative investment for its shareholders. This equation earned Custos the eminent reputation as one of the most powerful and influential NewEra investment companies listed on the Stockholm Stock Exchange. In 2004 Custos merged with another market quoted investment company, Investment AB Öresund. Several years thereafter, Investment AB Öresund sold the Custos trademark, promoting the impetus leading the company to once more conquer the investment world. Custos is a well renowned, registered organization owning the globally recognised trademark that captures attention in the financial realm. Consequently, Christen-Ager-Hanssen majority owner of Custos is proud to announce that plans are on conference table for a new chapter in the Custos narrative—the listing of Custos on the London Stock Exchange or Nasdaq/OMX—and all within 2020 . Whereas Sweden is the land of the Unicorn, Stockholm is akin to Silicon Valley, boasting one of the hottest tech hubs in the world. In fact many of the most exciting revenue-driven companies with global reach such as Spotify, Skype and Minecraft, have been incubated there. Stockholm runs through our DNA, empowering us to utilise our advertising space as invaluable crowdfunding to kick-start the bleeding edge ventures of tomorrow. With our barrier -shattering innovation, and all inclusive strategies, we have the know how to unlock the potential of any B2C company, providing access to our incomparable ”Go to Market Muscle” in one of the world’s most adaptable and electrifying markets. Centered on navigating cross-generational companies through various level projects, we help them transition their organisations, middle-market groups, and start-ups into well-positioned businesses with potential for attaining their aspirations and goals in a highly competitive arena. Sweden is often viewed as a frontrunner both in adopting pioneering technologies, and in setting consumer trends that impact on a grand scale. With this track record, our objective is to propagate globally, the Scandinavian philosophy, work ethic, and business history of disruption. Why not join us on our journey and tap into our expertise, resources and success proven insights? Custos is an International Investment Firm and world-wide Media House that has created a unique platform with a highly differentiated strategy, targeting world-beaters and tomorrow’s enterprising disruptive innovators. Custos invests in young companies as well as more established businesses geared for expansion and change. Custos kick-starts and accelerates growth for their ventures by providing access to the Custos ecosystem, offering media exposure, inventive assets and out of the stratosphere venture expertise. Our investment team works closely with other group controlled media companies or media partners to equip our ventures with fast access to the market, through the Custos appropriately named, «Go to Market Muscle» (audience connectivity). Custos focuses on investing in disruptive innovations in different sectors, as well as investing in enticing Media Assets. With a long history in the Investment industry, the Custos team boasts equally powerful knowledge and experience. Our capacity to connect and pin-point opportunities is unique. Custos Board and Management have proven a strong track record such as IPOs, Industrial Exits and Industrial Placements of TMT companies at extraordinary multiple. Custos is an active Member of BVCA (British Private Equity & Venture Capital Association). Custos is a Venture Capital Firm, a Private Equity Enterprise and Media House with origin from over 80 years ago. In 2014 the Investment Company was acquired by Christen Ager-Hanssen, innovative entrepreneur and investor with a futuristic mind-set and little tolerance for unprofitability in the business world. Mr. Ager-Hanssen perennially ahead of the curve, and equipped with MRI vision created the Custos operational excellence algorithm with the intent to re-design the business world. Today, the Custos Company invests in ventures based on his Disruptive Investment Model developed in the mid '90s when he amassed a fortune pioneering the Internet Industry. Think end of 20th Century Internet Visionary, and the name Ager-Hanssen surfaces. Custos is far from a single business enterprise. Its across the board sectors include media, technology and telecoms mainly active in UK and Scandinavia. We operate with an expansive and flexible investment focus, opportunistic in approach, but without abandoning our sustainable strategies. Ager-Hanssen's strategic-opportunist model nets a continual flow of revenues. Practically limitless in scope we are also open to “complex / special situation” contingencies. The Custos approach, given its long and successful history and winning track record, is about building long term and lucrative partnerships and relationships with all whom we conduct business. In 2018 Ager-Hanssen’s Investment Model, Custos 5C meticulously represents his Disruptive Investment Model. With a Swedish subsidiary, the Custos Group is far from a newcomer. Its roots run deep into the heart of Sweden’s industrial history. In 1937 AB Custos was founded by Skandinaviska Kredit as an investment vehicle, the primary purpose of which was the acquisition of shares the bank had received following the 1930’s market crash. During that time, AB Custos controlled strategic stakes in companies such as Volvo, Skanska, Swedish Match, SEB, SCA, Huvudstaden, and Billerud. The business proved to be extremely lucrative, earning Custos the eminent reputation as one of the most powerful and influential investment companies in Sweden. A Custos Group company acquired the Custos historical trade mark in 2015. Currently the investment wing of Custos focuses on investing in Disruptive Innovation and the Media Industry. 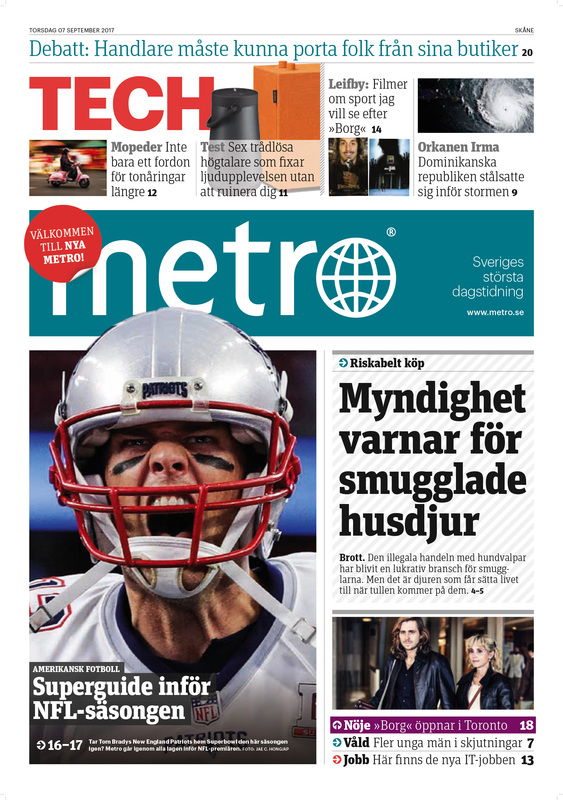 Sole owner of the subsidiary Metro Media House, one of Sweden's biggest and most innovative media houses, Custos structured Metro as a mass appeal brand besides a digital news company with the largest circulation. “A Passion for Disruption” is the mantra and catch-phrase designed to empower the brand as an” original disruptor”. Jan Hugo Stenbeck, the renowned Swedish entrepreneur once shook the media world with Metro, and built the largest newspaper on the planet. Custos however, intends to take it further, re-thinking Metro and devising a plan to elevate it to a new level, breaking through the glass ceiling via a state-of-the-art digital focus. Our goal is to become the most avant-garde, new generation media centre not only in Northern Europe, but globally. Metro has incubated several impressive businesses: some successfully divested while others still within the Group. Development and expansion form a central cornerstone in the Custos value creation process. We held the title Original Disrupter in the Media Industry, dating from 1995. Today we are committed to disrupt again. Since it was launched, Metro evolved and grew into the Newspaper with the largest circulation and distribution in the world. Our strength and most valuable asset is our advertising space defined as the currency for acquiring new enterprising, forthcoming ventures. With our disruptive business model we are confident the Metro brand will expand even further. Broad in scope our investments include old economy media companies. Our goal is to disengage the true value of their audience base and utilize it to fuel new promising and disrupting B2B2C or B2C ventures in our own Investment Portfolio. 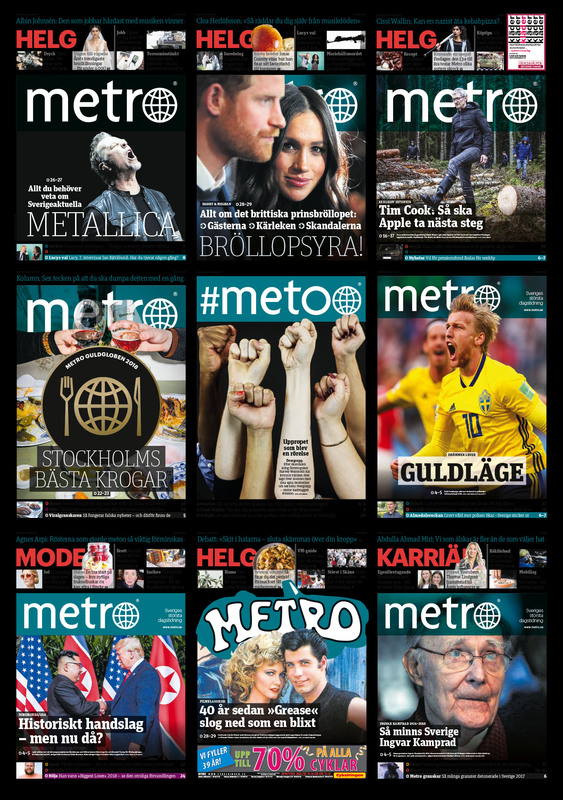 Reaching over five million people in Sweden every month, Metro is by far the country's largest daily print newspaper with a young, vibrant no-frills millennial readership. Quick and readily available, Metro provides online journalism that engages, and informs without time consuming journalistic jargon and is discussed over morning tea or cappuccino, a quick lunch or Happy Hour tapas. Above all we define our audience as valuable, info hungry, interested readers with little tolerance for pompous rhetoric. Please your consumers and they evangelize your products and services. Custos is led by Group CEO, Christen Ager-Hanssen, an internationally renowned global internet “solopreneur,”/ entrepreneur and Venture Capitalist, whose track record did shake-up the business world with his pioneering success in the movement to commercialise the internet in the 1990s. Ager-Hanssen has disrupted every industry that he has ever been involved in: telecom, whether technology, finance, law or media. This philosophy of disruption has been the very foundation of Ager-Hanssen and now also Custos business theories and philosophies. Today, as an Investment Firm and Media House, Custos is a unique platform with a highly differentiated strategy, targeting world-beaters and enterprising disruptive innovators of tomorrow. Custos operates from its headquarters in Mayfair, London and offices in Stockholm, Sweden and Oslo, Norway. Custos creates, develops and transforms companies into successful enterprises, capitalising on opportunities involving the complete business cycle. How? by going full circle, beyond the initial steps of supplying financing capital. Custos emphasises the non-financial capital contribution of know-how, research and ideas, applied through the Custos strong resource pool. New businesses need strong commercial guidance and determination combined with new logic insight and boldness – not just cash. Established businesses need the ability to apply fresh logic, and insight into old business models but the capability to both create and execute a transformation. Custos has the vision, the resources and the infrastructure to exploit new industrial knowledge and to fuel dramatic growth in potential ventures & portfolio companies. Custos emphasises the non-financial capital contribution of marketing, know-how, research and ideas, applied through its resource pool inclusive of its unique access to key market audiences. Custos places confidence in its “Go to Market Muscle” as the essential reason for the success of our portfolio companies. Most investment firms focus exclusively on financial capital and/or advice. Custos, however, steps out of the box, bringing all the 5CAPITAL ś – Financial, Operational, Innovation, Network and (most important) Human (Audience Capital). Custos is convinced that new businesses require not just cash, but strong commercial guidance and determination, combined with new disruptive logic and boldness. Custos believes that for established businesses to survive, they must rely on the adroitness to transfuse disruptive new logic into their old business models, and the proficiency to create and execute a disruptive transformation. Custos has the vision, the resources and the infrastructure to make the most of new industrial knowledge, disruptive transformation as well as digital disruption, to kick start ventures and to fuel dramatic growth in our portfolio companies through our unique, one of a kind access to Human Capital (audience access and connectivity). Custos is led by an experienced Investment and Venture team, with deep knowledge of strategy, investments and risk management. The team behind Custos has worked together for decades and has the necessary skills to see the potential of companies’ businesses and the ability to create value as evidenced by its proven track record of creating, developing, nurturing and building successful partnerships and businesses. Custos has access to a worldwide audience and we will find synergies for our business ventures within our ecosystem or with our external partners.Custos also has a history of disrupting traditional business models in many different industries including legal services, finance, telecom, technology and media, to name a few. While Custos is always aware of the laws, regulations and traditions of the environments and business sectors in which we operate, the Custos team is never frightened of breaking boundaries (but never rules) and challenging the norm in the pursuit of success. The Custos team has always had a passion and focus to lead and innovate in whichever industry we decide to invest in. We have a desire for disruptive innovation and get excited about making the impossible possible. Whether introducing our network, providing leading intellectual support, guidance and experience on operations or visionary marketing opportunities, there is always a ”passion for disruption” in everything we do. Investments require a great deal more than financial capital. New businesses need strong commercial guidance and determination combined with new logic insight and boldness – not just cash. Custos places confidence in its “Go to Market Muscle” as the essential reason for the success of our portfolio companies. Most investment firms focus exclusively on financial capital and/or advice. Custos, however, steps out of the box, bringing all the 5 CAPITAL ś – Financial, Operational, Innovation, Network and Human (Audience Capital). Custos Group is an ecosystem for businesses and innovations. We will find synergies within the group and have valuable access to the market. We build partnerships across industries. We create, develop and transform companies for success, capitalising on opportunities involving the entire business cycle. This accomplished by going beyond bringing Financial Capital. Custos is looking for disruptive innovations. Investing in new technology and the media industry. Content of tomorrow and world-beaters in digital disruption. We believe in people and ideas! Do you have an innovative venture? Contact our team. Access to marketing in key markets such as Scandinavia, UK and The US. Research new areas for investment, understand markets and competitors, develop new business models and seek out M&A opportunities. Connected across Europe, USA and Asia with business activities already bridged between UK, US, China and Scandinavia. Allocates appropriate resources to fuel the portfolio company. Custos builds personal relationships based on trust, the integrity of products and services, and the ability to make innovative investment decisions netting high profitability quotients Custos creates, develops and transforms success oriented companies capitalizing on opportunities and financial tools involving the complete business cycle. We accomplish this by surpassing funding decisions using a wide range of investment criteria and by stepping out of the box to go beyond financial capital, including the Custos 5Capital Model with which we apply to all our investment opportunities. Custos is an active expansion venture capital investor open to majority or minority stakes in companies we invest in, although we prefer to influence the value creation of our investments . While we have a global investment focus, key interest presently targets the UK, Europe, and USA. Transaction or subscription based systems Access and exploit assets such as customer base, billing systems Management team capability for expansion Potential to scale geographically, exploiting Custos´ networks Potential to scale rapidly, exploiting Custos´ know-how Potential to realise value via synergistic combination with other investment from other portfolios. Custos offers an exceptional management network comprised of savvy professionals with product expertise whose strong drives and ambitions are consistently sustainable. Our media arm CMG, an innovative, diversified media group is emerging from a seismic eruption that resulted in a 180 degree evolution of the traditional media industry. Focused on building a digital audience, as well as maintaining conventional print, our Media Group both entices and unites a captive audience via exhilarating state-of-the art ventures, products and services. Boasting an experienced team in media, investments, disruption and digital transformation, the fast growing media conglomerate is in continual expansion with enterprises including, but not limited to, music, fashion, recruitment, health, eSports and loyalty programmes. Additionally, the Media Goup broadens its audience base through global social influencers. In short, the rapid progression and global disruption of the time-honored newspaper publishing industry has enabled the Group to develop into a dynamic company with a unique and utterly inimitable vision. Custos operates with a cutting-edge algorithm, a global media formula that identifies revenue generating opportunities for business development within the media sector. Although Media is a landmark industry, it is in the midst of a paradigm shift due to digital development. Ahead of the game, Custos foresaw promising opportunities to pursue as part of its media strategy. Custos Media Investments and Global Media connections are currently deliberating possibilities for worldwide acquisitions and partnership opportunities to further expand our media presence and business. A key element of the Custos strategy is digital expertise, multi-media platforms, and content which exercise a major role in building new audiences that drive growth and new / expanded revenue opportunities. The team behind Custos has worked together for decades and has a history of disrupting traditional business models - whether in law, finance, technology and media. While always aware of the laws, regulations and traditions of the environments in which we operate, the Custos team breaks boundaries (but never rules) in the pursuit of success. Custos employees have always had a passion and focus to lead and innovate in whichever industry merits investment - and whether introducing our network, providing leading intellectual support, guidance and experience on operations or visionary marketing opportunities, there is always a ”passion for disruption’ in every move we make. Custos have access to worldwide audience and we will find synergies within our ecosystem or with our partners. 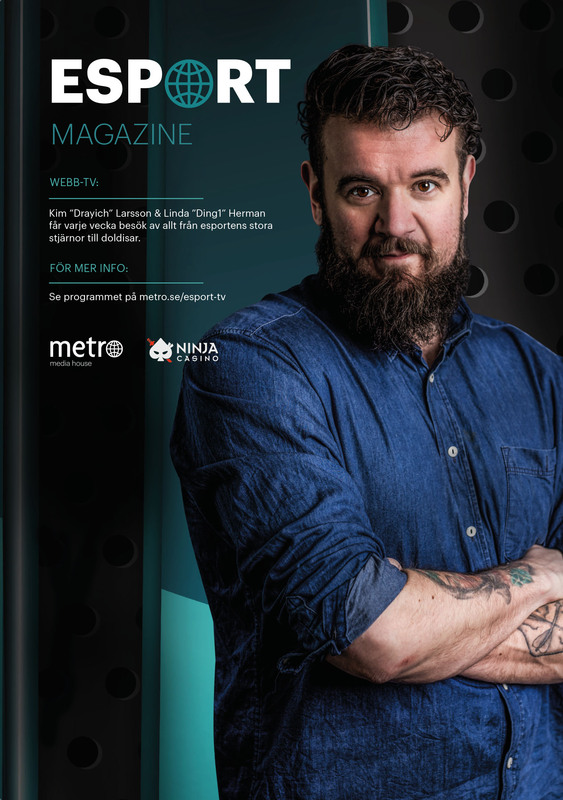 Metro Media House is an innovative, diversified Swedish media group, fully engaged in the total transformation of the traditional media industry. Focused on building an audience digitally, as well as maintaining traditional print. Metro Media House unites a captive audience with exciting new ventures. With its experienced team in media, investments, disruption and digital transformation, Metro Media House is a fast-growing media group with interests in music, fashion, recruitment, health, E-sport and loyalty programs, just to cite a few. Additionally, the group expands its audience through social influencers. The rapid progress and global disruption of the traditional newspaper publishing industry by the group has enabled Metro Media House to become a truly unique media company — utterly unlike any other. Metro Media House is attracting approximately 5 million interested viewers per month though all verticals/channels. Custos have established a Portfolio of companies with pan-European and global potential. The Custos Group invests in traditional and new media as well as media technology. Defensible technology innovations, Big Data, AI, Telecommunications, Software, Mobile Apps. Transaction- and subscription based business models with a desire to build growing customer base in every segment we are involved. Primarily focus on private market transactions, but we also have a substantial interests in the public markets.